Officiency: Ok, shameless plug, but we do offer a specialized focus on how to utilize technology to improve productivity including application resources and tips. Check out the categories to the right for various topics. Zen Habits: Definitely one of the top blogs on simplicity and life balance. Leo Babauta is rated as one of the Top 25 blogs on productivity. 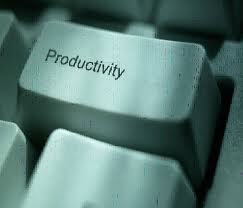 LifeHacker: LIfehacker has a series of topics it blogs on, one of which is productivity in the office and at work. Your Life. Organized. : Monica Ricci, a professional organizer, based out of Atlanta writes on how to organize your life. She is witty and funny and always has some great tips. ClutterDiet Blog: Lorie Marrero, author of the Clutter Diet book and program, includes hands-on videos to show you how to be more organized in your home and life. David Allen: Author of Getting Things Done, David Allen, writes blog posts for the Huffington Post on personal and organizational productivity.